Video of Clint Eastwood's RNC speech. 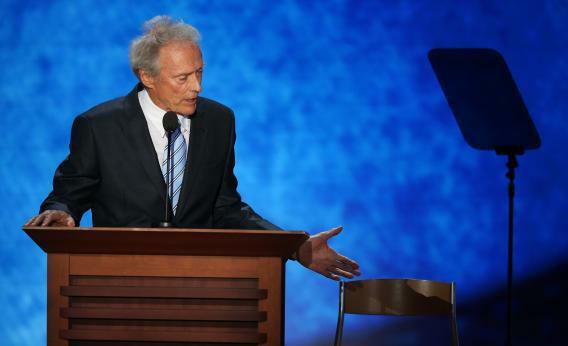 Did Clint Eastwood Just Debate a Chair He Pretended Was Obama? Yes. Actor Clint Eastwood speaks during the final day of the Republican National Convention at the Tampa Bay Times Forum on Aug. 30, 2012, in Tampa, Fla.